There’s no denying it, I’m a simple girl! Given a choice between two options I’ll always take the simplest; and the words ‘why do today what you can put off until tomorrow’ might be known to come out of mouth a little too often. Anyway, when it comes to getting ready, wherever possible — true to form — I prefer to take the quicker ‘less is best’ rather than all out ‘bells and whistles’ option. 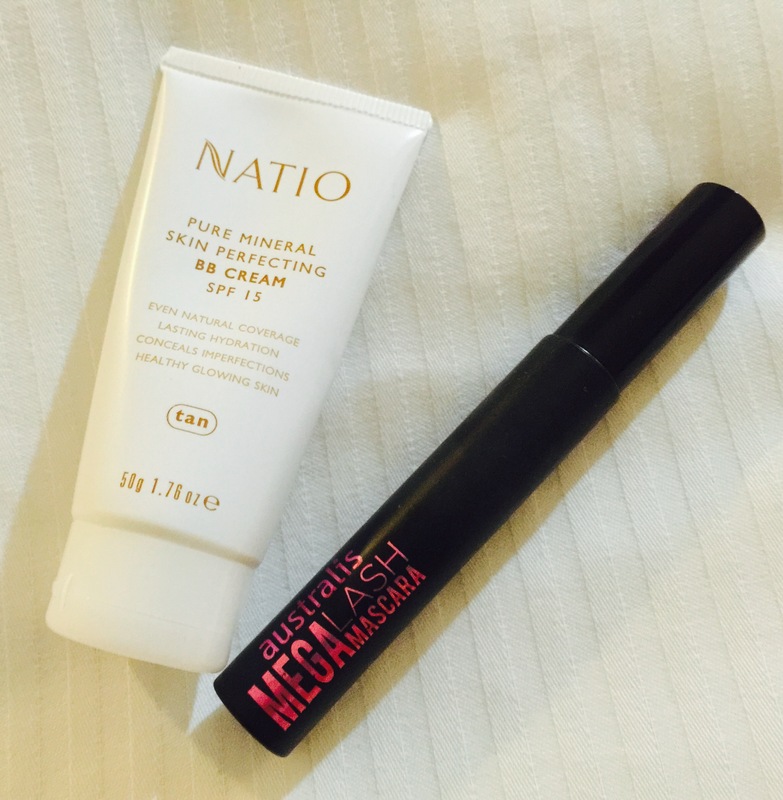 For summer/beach days and gym days I’ve managed to get my makeup down to just two cruelty-free products – Natio Pure Mineral Skin Perfecting BB Cream SPF 15 and Australis Mega Lash Mascara – both of which I love! The Natio BB cream is the perfect weight for me; it goes on light, but provides just enough coverage to give me an even-looking complexion without the look of heavy foundation. The downside is that it only comes in three shades (Fair, Medium and Tan), but I just have all three colours (at $14.95 a tube they’re a bargain) and blend this myself depending on how tanned my face is. The Australis Mega Lash is great value at just $12.95, and is one of my favourite mascaras – giving my lashes a great dark colour with no clumps. And the stay-put formula means there no streaks either at the beach or in the gym. It can take a little elbow-grease to get it off at the end of the day, but a quick swipe with the ModelCo wipes can take it away. If you’re looking for a simple option I’d suggest giving them both a go!